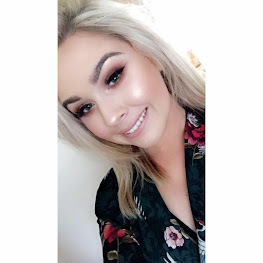 To introduce myself, my name is Ally and I am from Dublin, Ireland. I have a huge passion for fashion, beauty and travel. I recently graduated from Dublin City University with a degree in Business and I also graduated from Vanity X Makeup Academy as a fully qualified Makeup Artist. While studying business in uni, I worked in fashion retail for over 3 years. My passion and interest in fashion grew two-fold, as I was walking by store fronts admiring gorgeous pieces of clothing. I set up my blog to share style inspiration and it soon became a full time hobby. I quickly became interest in beauty and makeup, but I didn't feel confident sharing my thoughts on the topic as I wasn't very knowledgable. In September 2015 I took a massive risk and quit a very well paid, secure office job to pursue my real passion. I enrolled with Vanity X Makeup Academy and completed the full time Professional Makeup Artistry Diploma Course. I have never been happier and I now work for myself as a makeup artist.